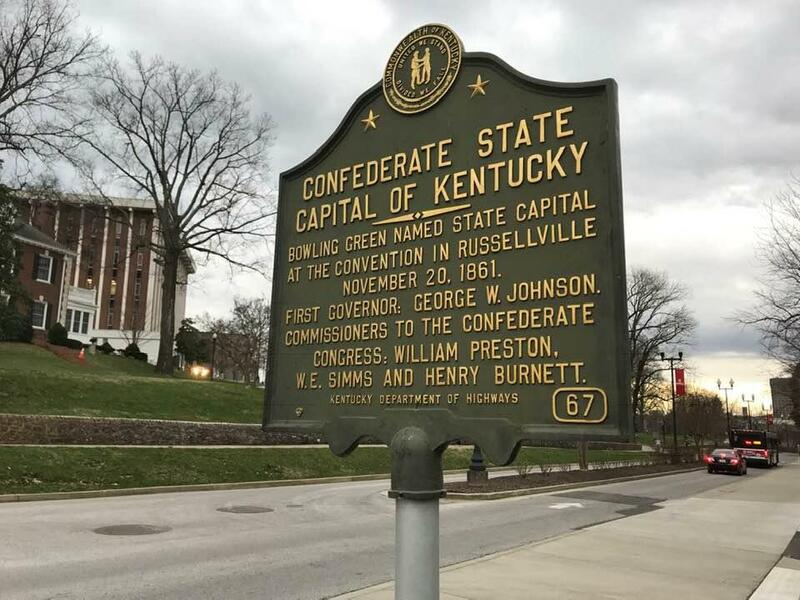 A resolution approved by the SGA calls for the marker to be moved inside the Kentucky Museum and become part of a historical display. "We appreciate the discourse this discussion has created and we’re waiting to see what the next steps are," said university spokesman Bob Skipper. The markers are administered by the Kentucky Historical Society and the Kentucky Department of Highways. While the marker is on WKU property, it doesn’t technically belong to the university. When it was installed on what is now College Heights Boulevard, the road was U.S. 68. The mayor of a Kentucky city says money is being raised to pay for the upkeep and security of two Confederate statues if the monuments are relocated to a cemetery. The Lexington Herald-Leader reports Lexington Mayor Jim Gray said in a letter to the Lexington Cemetery board that private donors started the endowment. City spokeswoman Susan Straub says the group has pledges of more than $100,000. Paducah area African American church leaders and the local N.A.A.C.P. are calling upon the city to remove the statue of Confederate General Lloyd Tilghman on Fountain Square. A letter published over the weekend suggests in its place installing a plaque that explains why the statue was removed and listing the names of slaves owned by Tilghman. The Lloyd Tilghman House Facebook page says he owned five slaves. The historic home is a museum in the city. Members of the Paducah Area African American Methodist Episcopal Churches, local N.A.A.C.P., Community Clergy Fellowship and Community Coming Together signed the letter to the City of Paducah stating that "The vast majority of Black citizens in this city emphatically do not want to preserve the painful legacy of slavery and white supremacy" represented by the Tilghman statue. African-American leaders called on Gov. Matt Bevin to remove a white marble statue of Jefferson Davis from the state Capitol building on Wednesday. The plea comes in the wake of the violent white supremacist rally in Charlottesville, Virginia, earlier this month. But for years, activists have called for Davis’ likeness to be removed from the Capitol Rotunda, which exhibits statues of revered Kentuckians including Abraham Lincoln, Henry Clay, U.S. Sen. Alben Barkley and pioneer surgeon Ephraim McDowell. As President Trump doubled down on his defense of Confederate statues and monuments this week, he overlooked an important fact noted by historians: The majority of the memorials seem to have been built with the intention not to honor fallen soldiers, but specifically to further ideals of white supremacy. Next steps include asking the Kentucky Military History Commission for permission to relocate the statues. 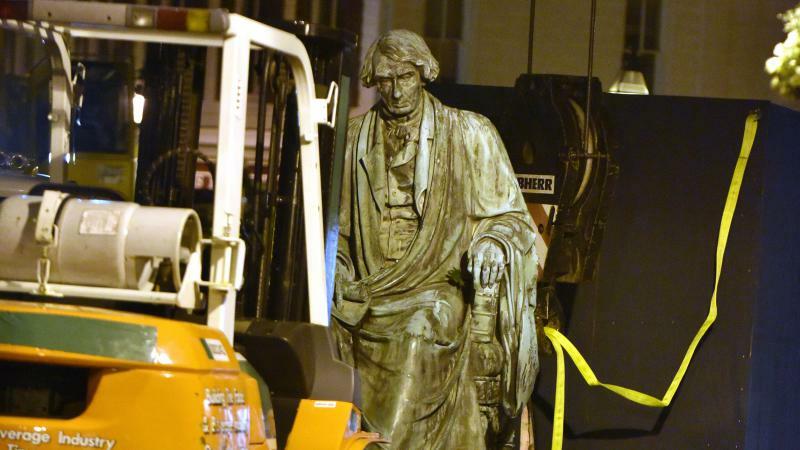 Before backing the mayor’s proposal to move the John Hunt Morgan and John Breckinridge statues, council members heard from dozens about the issue.